Sometimes, your accidental deletion, wrong card formatting or other improper operation will cause some of your precious photos lost from your Sony Alpha DSLR camera memory card. When encountering camera photo loss problems, the first thing you have to stop is stop using your camera immediately so that the lost photos won't be overwritten by new created files. Then you should perform a photo recovery process as soon as possible with a reliable program. 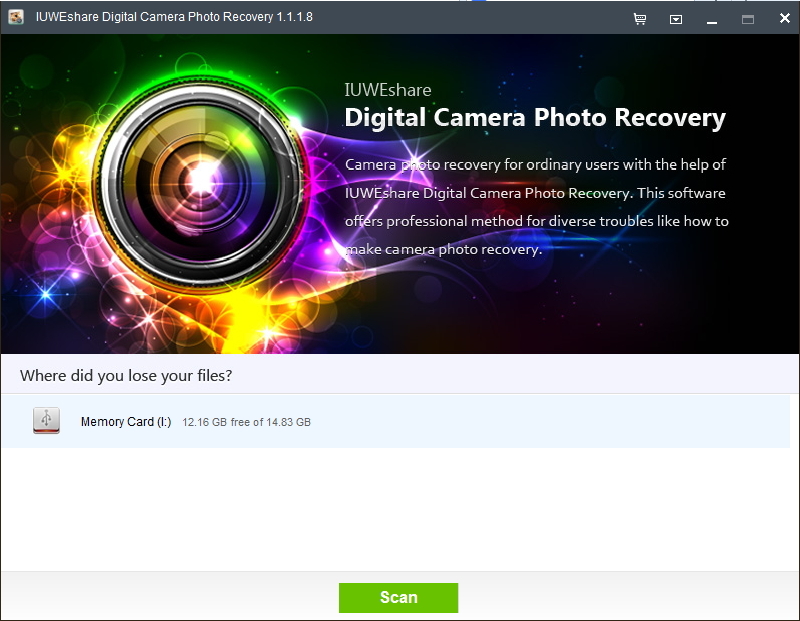 IUWEshare Digital Camera Photo Recovery(Win/Mac) is the trustworthy photo recovery software specially designed for users to recover camera lost photos. With it, all the deleted images can be recovered from Sony Alpha DSLR Camera. Moreover, this magical Digital Camera Photo Recovery Software allows retrieving pictures, videos and audios from memory cards, USB storages devices, Flash Cards, SD Card. Step 1: Connect Sony Alpha DSLR Camera storage device to computer. Select the icons that represents your Sony Cyber-shot memory card as the storage media to scan. Then hit "Scan" button to continue. 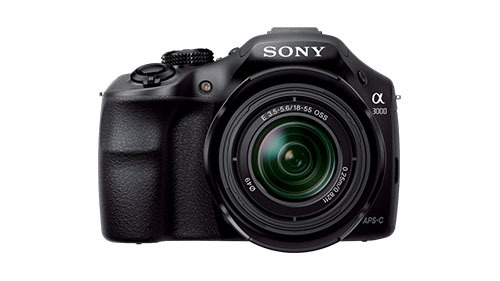 Step 3: Preview and recover deleted photos/videos from Sony Alpha DSLR.